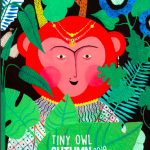 You are here: Home / Celebrate National Poetry Day with Tiny Owl’s poetry books! Today is National Poetry Day! This year’s celebration of all things verse is on the theme of ‘freedom’, which gives a perfect opportunity to enjoy some of our poetry books! 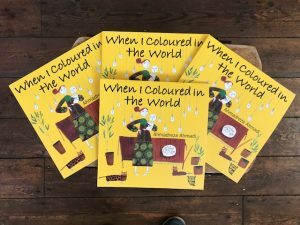 When I Coloured in the World, by Ahmadreza Ahmadi and illustrated by Ehsan Abdollahi, is a beautifully profound poem of hope and change. A child uses crayons and an eraser to replace bad things in the world with good: silver changes drought to rain, pink changes sickness to health, light blue replaces war with peace, and yellow replaces despair with hope. Ahmadi’s simple, spare verse style allows the profound message to speak for itself. 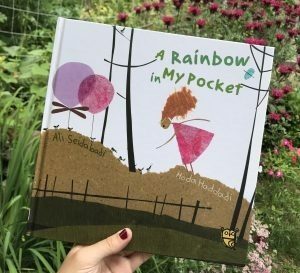 A Rainbow in my Pocket, by Ali Seidabadi and illustrated by Hoda Haddadi, is a whimsical, joyful poem that flits between the breathlessly rapid thoughts of a young child. Why is the sky blue? Why do ants queue in such a straight line? Why are some words kind and some words harsh? How do you keep a rainbow in your pocket? 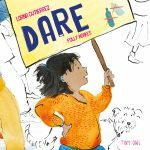 It’s hard to chase down any one meaning in this light-hearted poem, but it perfectly captures the simple tenderness of children’s everyday musings. 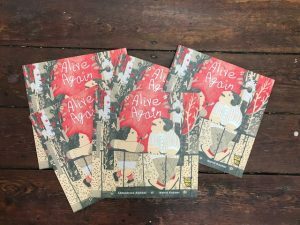 Alive Again, also written by Ahmadreza Ahmadi and illustrated by Nahid Kazemi, concerns children’s thoughts too – but here it’s the worry that when blossoms, crops and rain disappear, they might never return. Again, Ahmadi’s verse is swift and uncomplicated, but expresses the whole spectrum of a young child’s feelings about loss, and allows the reader to fill the gaps that the narrative leaves. 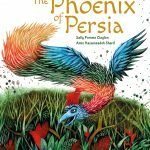 Tiny Owl also publishes lots of ancient tales that were originally in verse form: Bijan and Manije is a tale from the Shahnameh, or Book of Kings, by the 10th-century Persian poet Ferdowsi. And The Parrot and the Merchant and The Jackal Who Thought He Was a Peacock both come from the poems of Rumi, the 13th-century Sufi poet, philosopher and mystic. 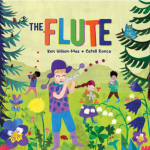 Look out for our books later this year and in 2018: a third fable by Rumi, and more modern poetry books!